This is an uninhabited island in an inlet of Zamami Island. 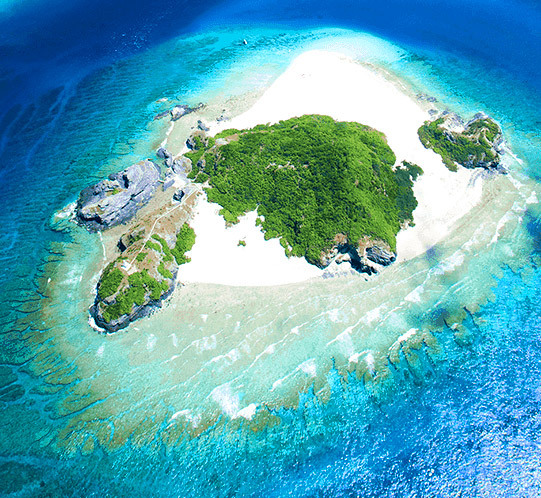 A large part of this island consists of white sand, and it becomes a mecca for marine activities during the summer. There is a ferryboat service between the island and Zamami. Kahi Island is in 1.1 kilometer southwest from Zamami Island. and Ama Area. It has about 1.5 kilometers around, 0.01 square kilometers in area, and 51 meters above the sea level. Steep sandhill occupies almost the whole surface, with a community of trees; Adan, Sotetsu, Sharinbai, and Giima. Right after the end of the Pacific War, people of Zamami Island started cultivating sweet potatoes and grazing goats on this island. In the 53rd year of Showa, Kahijima Observation Tower was built in the northwest part of the island. 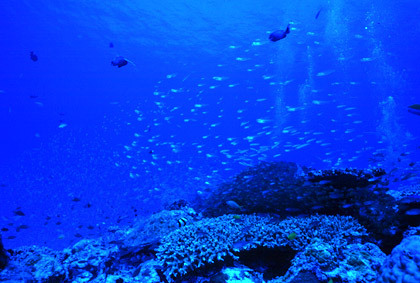 In summer you can enjoy snorkeling and diving.